On economic issues with China, US President Donald Trump has adopted a strategy similar to the one he employed against the DPRK and NATO, which his supporters describe as 'maximum pressure', i.e., imposing pressure on the other party until the other side is forced to accede to the US' demands. As a matter of fact, the strategy is little different from blackmail. But in economic relations, this strategy is unlikely to deter an opponent. On the contrary, the counterparty is more likely to retaliate, thus escalating tensions. As such, the US will have to pay a formidable price in the impending trade war. Some American political and business elites already see the risk; Congressmen of both parties expressed their discontent to Secretary Mnuchin, while Speaker of the House Paul Ryan denounced the tariff measures. Recently, a US trade delegation visited China, hoping to extend and expand business cooperation between the two countries. Many studies have shown that imposing tariffs will not eliminate trade imbalances. Some companies have already expressed willingness to take on the burden of some tariffs to avoid losing consumers. Some others may turn to entrepot trade to avoid tariffs. No matter which approach they choose, however, the increased cost will ultimately be borne by companies and consumers in both countries, which will weaken their consumption power, dampen business vitality, and hinder economic growth. Trump is aware of this. However, he is a politician. He cares more about holding onto his presidency than about making America great again. A trade war with China allows him to continue selling his anti-establishment and anti-globalization ideas at home, so that he can secure a more favorable position in this year's mid-term election and in the presidential election in 2020. The economic conflict is not a trade war between China and the US per se. Rather, it is a war waged by Trump against groups of people in both countries that support globalization, free trade, and cooperation. First, through the trade disputes, Trump sold everyone on the idea that China is America's 'strategic rival'. The setbacks today make it very hard for people to remember the stable interactions between the two countries in previous years. During the Obama presidency, China and the US cooperated positively on climate change, and were able to properly handle emerging issues such as cyber security by engaging in dialogue. Collaboration on issues of global concern and a readiness to address contradictions in a timely manner gave both countries the hope of avoiding the Thucydides Trap through win-win cooperation, and of moving closer towards the ideal goal of 'co-evolution' described by Henry Kissinger. However, such a constructive posture does not serve Trump, who wants to sell American voters his populist America First philosophy. The various dialogue mechanisms and collaborations created inertia against changes in polices towards China, and as a result there was an internal concern over defining China as a strategic rival. 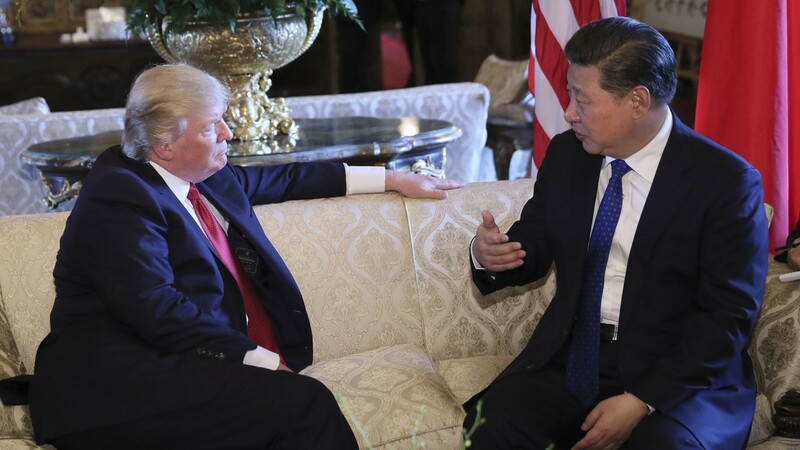 Trump's unreasonable, rude, and unilateral trade blackmail is an attempt to break the inertia and habit of cooperation, and create knee-jerk opposition towards China instead. By doing this, Trump will be able to continue imbuing American voters with a sense of crisis and urgency in the upcoming mid-term elections and present himself as a 'war-time president'. Second, Trump also intends to continue assailing the American establishment and supporters of globalization. His ideas and demands do not actually reflect those of the majority of Americans. The policies Trump enacted after his election have a strong conservative flavor, and he does not consider the interests of new immigrants, multinational companies, intellectual elites, and other beneficiaries of globalization. This has led to constant criticism from the mainstream media since he won the election, as American elites worry that Trump may lead the US onto a more closed and conservative path. China-US economic relations is the most important part of US-led globalization and is thus an easy target for Trump. He hopes to 'decouple' the industrial circles of the two countries through vicious trade competition, and to change American multinational companies' operational strategies and bring them back to the US to be local American companies. The move will harm enterprises and interest groups that support globalization while benefiting those that oppose it. And last, Trump will take this opportunity to strengthen his control over multinational companies. These companies are the pillars of the American economy and together form the most powerful lobbying force in America, wielding unmatched influence in both the economic and political fields. American presidents after the Cold War all enjoyed the support of important industrial groups, and became the spokesmen of these multinational companies internationally. But Trump is somehow different. Multinational companies adopted a wait-and-see attitude during Trump's campaign. After he won the election, American market leaders in technology and finance deliberately distanced themselves from him. The President deepened worries among multinational companies with his brutal dismissal of former Secretary of State Rex Tillerson, one of the most respected professional managers in the American business community. The worries and misgivings may well translate into support to opponents of Trump, which disturbs him. In the coming negotiation process, on the basis of his assessment of multinational companies' need of the Chinese market and fear of Chinese retaliation, he will reach for the upper hand against multinational companies so that he can remove the obstacle they pose to his rule.